CHOPAS Community Portal Makes Managing Homeowners, Condos and Properties Easy! Managing an HOA, condo association or a community of properties is complex. With many moving parts and people to keep happy, creating a portal to process all of your association needs is crucial for success. Choosing the right software makes EVERYONE HAPPY! CHOPAS (Condo Home Owner Property Association Software) Community Portal and HOA Websites, with over 19-years’ experience in cloud-based collaboration software, makes sure no matter what your circumstances, current and future boards will thank you! Board members will stay longer since CHOPAS removes the hassles, complications and stress of managing your condo association or homeowner’s association. CHOPAS’ power and flexibility let you put your calendar, inventory, file sharing, owner's directory, photos, reports, forms, tasks, governing documents and more in the cloud, where it’s accessible to all relevant members anytime, anywhere – ensuring everyone’s on the same page! By linking the owner information with property data, everything is cross-referenced, then you can connect all necessary items to the appropriate inventory (property). No more looking for a needle in the haystack when a manager, homeowner, board member or maintenance personnel needs the information. It's only a simple search away! All this and you don’t need a special app; you can access it from any device: PC, tablet or smartphone. Work the Way You Work! Whether you’re a manager, self-managed property or a management company, CHOPAS Community Portal and HOA websites can be customized to fit your specific needs and wants. Managing tasks, scheduling repairs and maintenance, and making sure projects get done correctly can be overwhelming. When communication breaks down, it creates more problems. Not just communication among management, employees and vendors, but residents and owners. Keeping everyone up to date not only makes operations run smoothly, but avoids spats between management and residents. 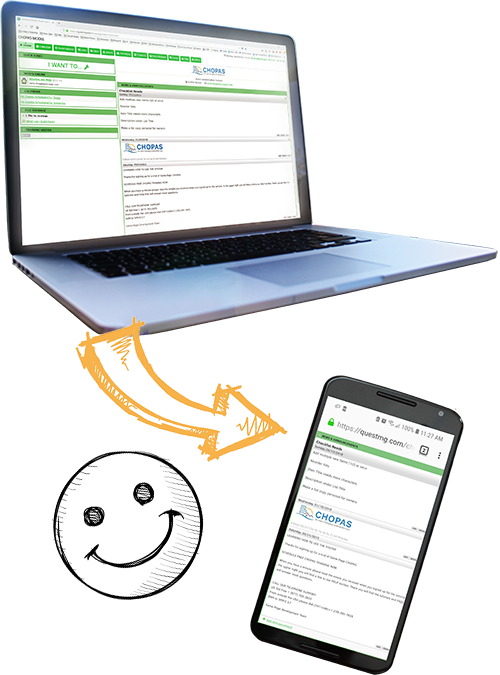 CHOPAS community portal simplifies the process for your condo or homeowners’ association, by removing communication issues and making reporting and scheduling a breeze! Moreover, it eases resident relations, so you (the manager) can keep owners and residents in line and happy. All this and the board of directors will love you, because records are accurate and ready to pass on. 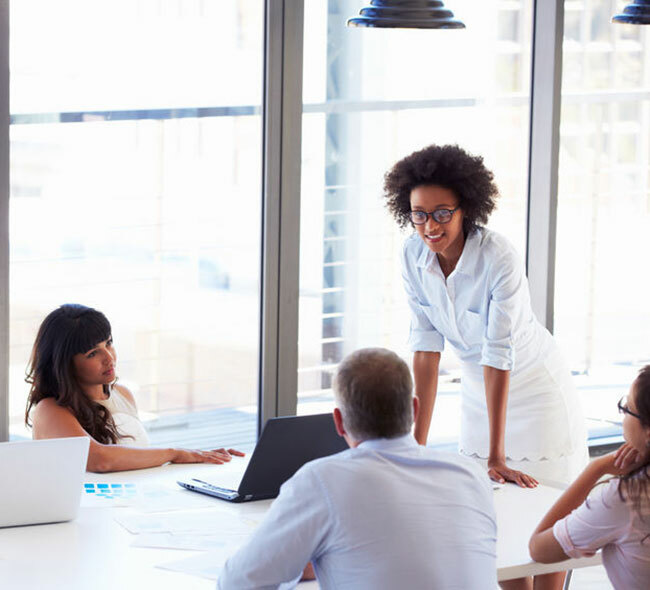 If your Board of Directors manages the Association itself, they’ve learned scheduling tasks and projects can be difficult, eating away all their time. Often this leads to creating Ad-Hoc groups to handle pop-up situations. Piecing together a solution with Microsoft® Outlook, Google Docs, a spreadsheet and newsletter program isn’t making your job easier! You need a real software solution that connects ALL the dots seamlessly and smoothly. 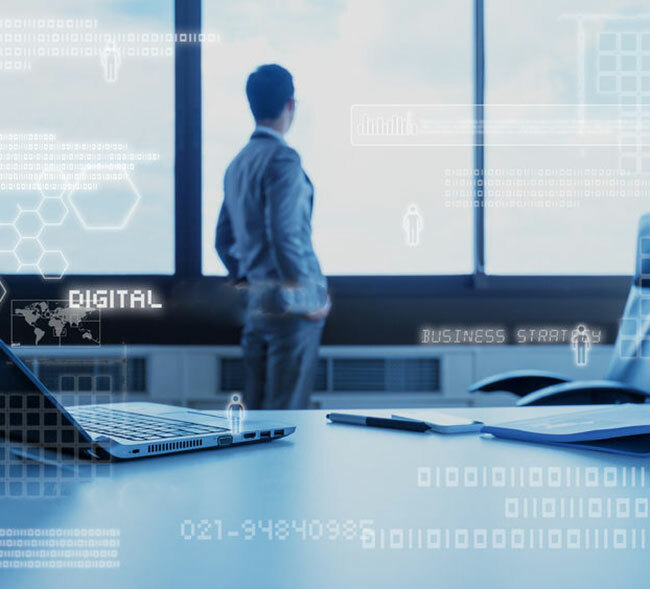 CHOPAS HOA websites for condo associations and property associations, provides a simple and powerful, single system that works flawlessly to connect all those dots, so your day-to-day operation is stress free. 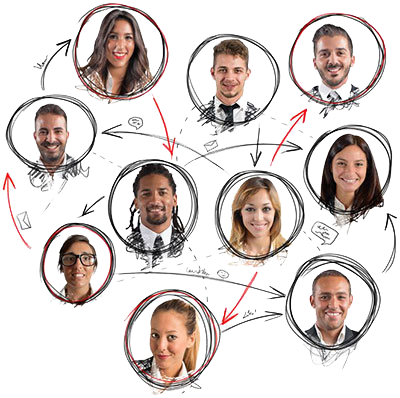 Even managing association committees becomes simple. No more high turnover of members of the board, because CHOPAS makes them happy! Records are always accurate, current and ready. Managing a portfolio of condo associations, homeowners’ associations and/or a community of properties can be complex. Multiple clients, many reports and lots of scheduling requires the right software solution. You will have all the information you need, when you need it... at your fingertips. 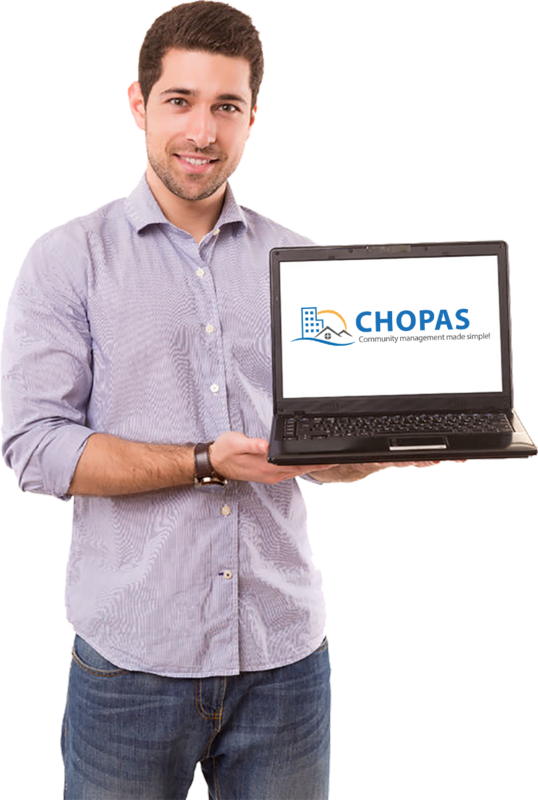 CHOPAS gives you the flexibility to choose the package that best meets the options you need and want, saving you the money and time of having to learn a bloated system, like many other community portals and HOA websites. CHOPAS also makes interacting and communicating with owners and renters easy peasy! Owners can leave requests, questions and report on issues. When you reply, they receive it quickly and consistently, ensuring you have a clear path to issue resolutions. Plus, they only see THEIR messages, calendar, emails and alerts, and no one else’s. Plus, each owner manages his or her own information, making accurate records the responsibility of the owner. Not sure if they are keeping it up? Send out a message to all that it’s time to check their record for accuracy and your done. All the members of your condo association or homeowners association will now be able to communicate with ease. 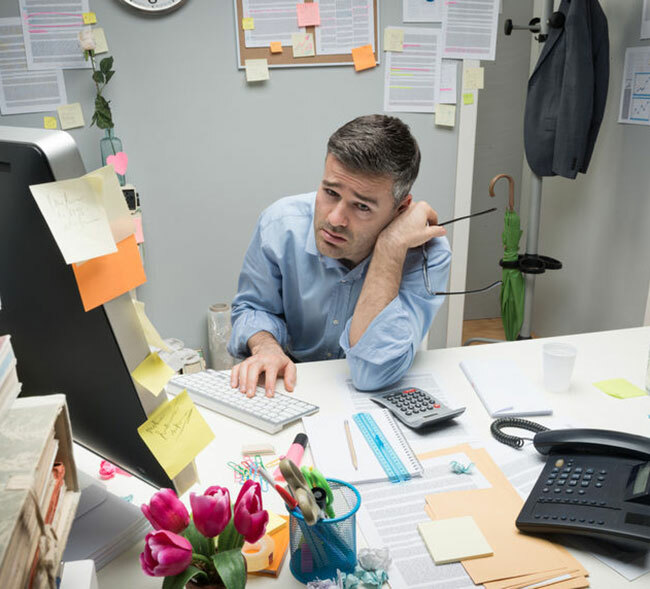 All this, and you don’t need to learn a new bookkeeping program or transfer years of records, which can be frustrating and often inaccurate. 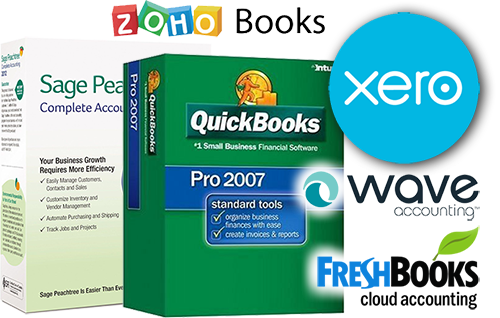 With CHOPAS Community Portal and HOA Websites, you keep your existing bookkeeping program. No need to change and learn a new system. Plus, your HOA website and community portal is totally secure with the latest SSL (secure socket layer) encryption. You control all access levels to maintain confidentiality and security where needed! 87% Rate Their Overall Community Association Experience As Positive! Look at our Frequently Asked Questions. Still don't see what you're looking for, contact CHOPAS for a FREE, NO OBLIGATION CONSULTATION! Ready to give it a test drive? Try it FREE for 30 Days and see how powerful, simple and affordable peace of mind can be.